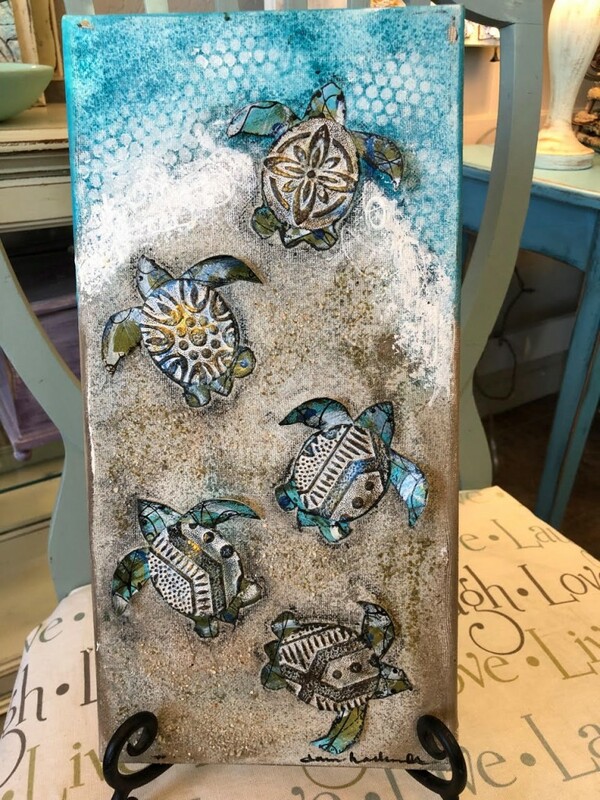 Join us at Ella’s Olive and experience Great Food and Mixed Media Magic presented by Donna Hollowell, a local artist and proprietor of Deja New art studio, located in Kitty Hawk. During the class you will utilize a variety of expressive mediums to create your own work of art. While painting, we will be offering tastings of Ella’s creations showcasing our Olive Oils, Vinegars and Gourmet Food and ways to perk up any meal! The participants of the class will receive a 10% discount of products purchased at Ella’s Olive. Come and join us and uncover your artistic self! This event takes place on three different days. Please be sure to choose the day you want carefully. **A 3% fee will be added at checkout to cover administrative costs.